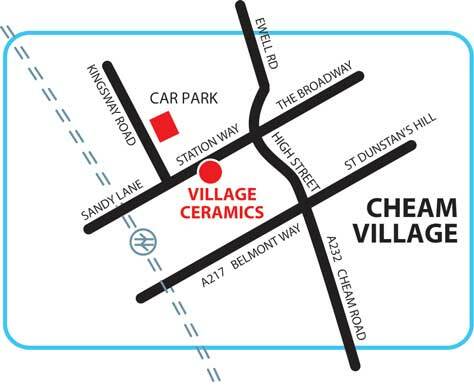 Station Way in Cheam Village is just three minutes walk from Cheam railway station. There is a public pay and display car park opposite in Kingsway Road. Cross the A217 traffic lights and turn left at the next traffic lights (Harrow Public House on your left). Take the A24 and turn right onto the A232 to Cheam (first traffic lights after Homebase). At Cheam Village traffic lights (Harrow Public House straight ahead) turn right. Follow the signs for Sutton and Cheam. At Cheam Village traffic lights (Abbey National on left, TSB Lloyds Bank on right, Harrow Public House straight ahead) go straight across.